Taking inspiration from – and applying – consumer trends to your strategy and market has never been more important than in today’s fluid, fast-moving marketplace. It’s crucial to look forward and form ideas from the overarching trends that will last but also to look laterally outside of your own sector. Trend Tours where you visit trends in the form of real bricks-and-mortar businesses, hear first-hand from the proprietors and then brainstorm what they mean for your business. 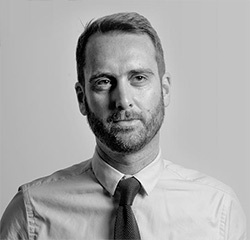 With over a decade of experience in market research, Richard brings Trends alive for Mintel’s clients on a daily basis. To date his 2017 EMEA Trend Predictions project has been presented and discussed face to face with an audience of over 1,000 clients and this year’s pan-European project on ‘The Truth About Trust’ is booked in to reach similar numbers across the UK, Italy, France, Poland, Norway, Spain and Germany. Richard’s other recent projects have explored the emergence of Africa as new consumer market, Virtual and Augmented Reality and the opportunities presented by an ageing population. As a globally recognised leading trends commentator, he is regularly called on by media worldwide to provide insight and analysis into consumer trends. Recent highlights include defining the modern family at a special event for broadcaster ITV, analysing the feminist fightback against sexist pricing for The Times and spending the morning discussing the future of seniors and romance with 50 local radio stations as part of the BBC’s Love Later in Life project. Richard is also a key speaker at Mintel’s ‘Big Conversation’ client events across Europe, presenting on everything from technology and beauty, to the future of retail and modern relationships and he has delivered bespoke presentations for World Travel Market, Brand Republic, packaging forum Trendtag Glas and at conferences as far afield as Philadelphia, Aruba and Whistler.